Zucchini burgers are a vegetarian and light variant of classic meat burgers. A dish that is really tasty and simple to prepare, very good for a light summer dish but rich in taste, an excellent idea to stuff a sandwich for a picnic or to take to the office. A delicious recipe to make children eat vegetables, since they usually like them very little. Here's how to prepare these delicious zucchini burgers quickly and easily. 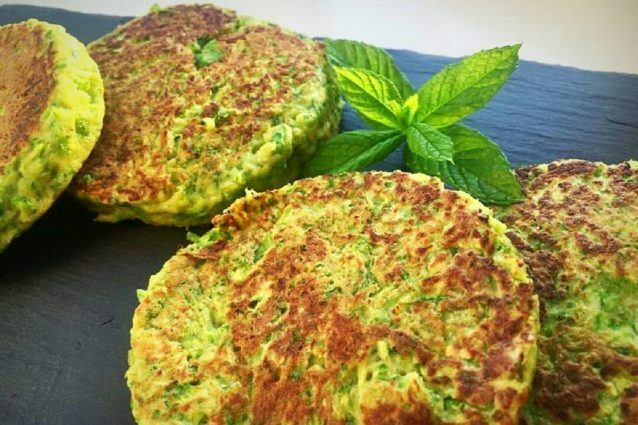 – For a lighter preparation you can cook the zucchini burgers also in the oven; just put them in an oiled or buttered baking dish and cook them for 10/15 minutes at 190° C, turning them halfway through cooking. – For the preparation choose small and firm zucchini that contain little water, compared to the larger ones. – If the dough should be not so firm, you can add 2 eggs to mix with zucchini, bread and grated cheese. – If you want to give your zucchini burgers a more aromatic flavor, add paprika or chili. – Serve the zucchini burgers with a fresh mixed salad or use them to fill a sandwich, the best solution to have a lunch outside your home. The zucchini burgers can be kept in the fridge for 2 days in an airtight container. Before consuming, heat them in the oven to make them soft and tasty.